The way coffee is processed has very much to do with tradition and culture, after being freshly picked from the coffee shrubs. This put Jamaica on the map as a tiny island with a not so tiny reputation for putting out delicious jerk chicken, famous rum, and music. 100% Jamaican Blue Mountain Coffee is considered black gold and known for it’s flavor. Treasured by many, this rare coffee has a sweet, smooth, mild flavor in a balanced cup. The Blue Mountain region is in the Eastern part of the island, and only coffee grown within can be called JBM. Author Ian Fleming’s super spy hero, James Bond, drinks Jamaican coffee with his breakfast. As in the first Bond novel, Casino Royale was also the first book to flaunt its brands as “the best in the world.” During the years 1953 till his death, in 1964, Fleming name-checked Brut Blanc de Blanc champagne, Jamaica Blue Mountain Coffee, Smirnoff’s, and Aston Martin. 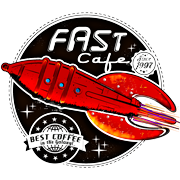 FastCafe.com specializes in this amazing coffees. We import only the freshest 100% authentic and unblended coffee which is available wholesale for shipment now. Our combination of experience and excellence make these coffees and FastCafe.com truely unique. Enjoy your visit with the global online coffee shop. We specialize in beans!